From Disc Four, play the final episode of the season, "Circles". (If you don't want to watch the whole thing, feel free to skip to the end of the episode; this egg works the same way, too.) 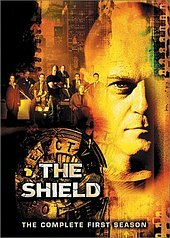 After the title finishes, a video clip appears in which show creator Shawn Ryan and star Michael Chiklis congratulate you on finishing the season and give you a "very special preview" of Season Two.